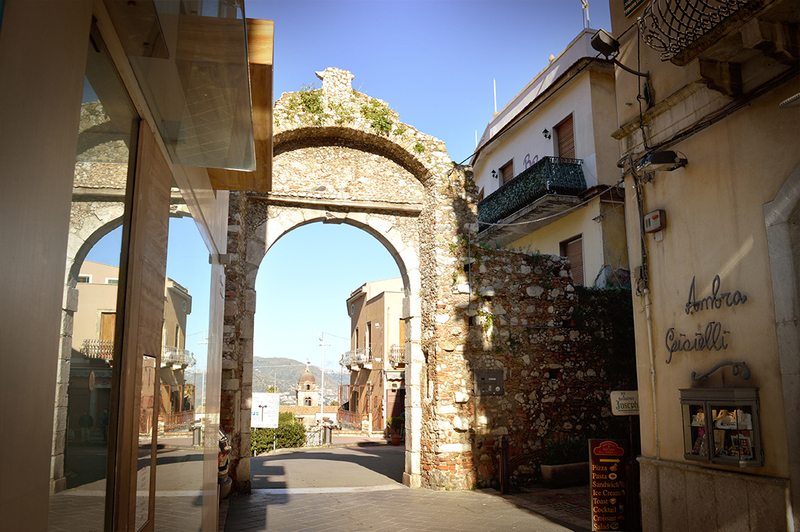 The famous Corso Umberto of Taormina, the road that crosses the entire historical center of the city and frequented by many tourists every day, is closed at the ends by two gates, Porta Catania and Porta Messina. In the middle of the street we find the door called the Clock Tower. 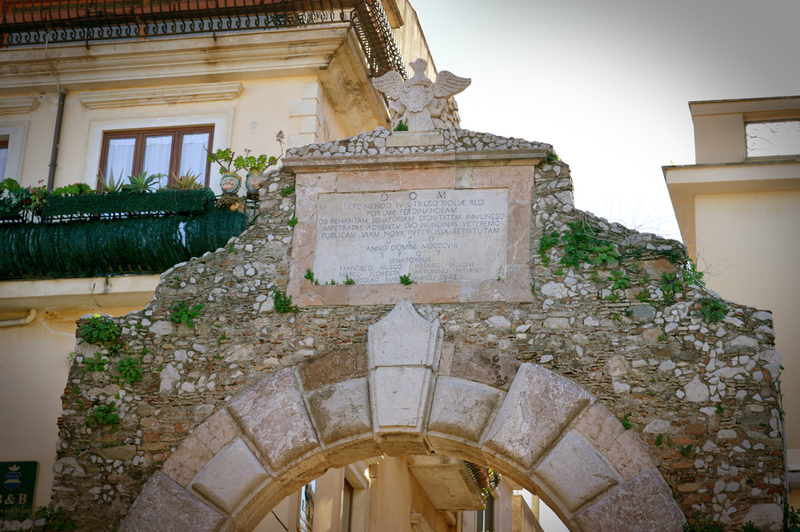 The gates were built in the city’s fortification walls and provide access to the heart of Taormina, the most beautiful part of history and visited the city. 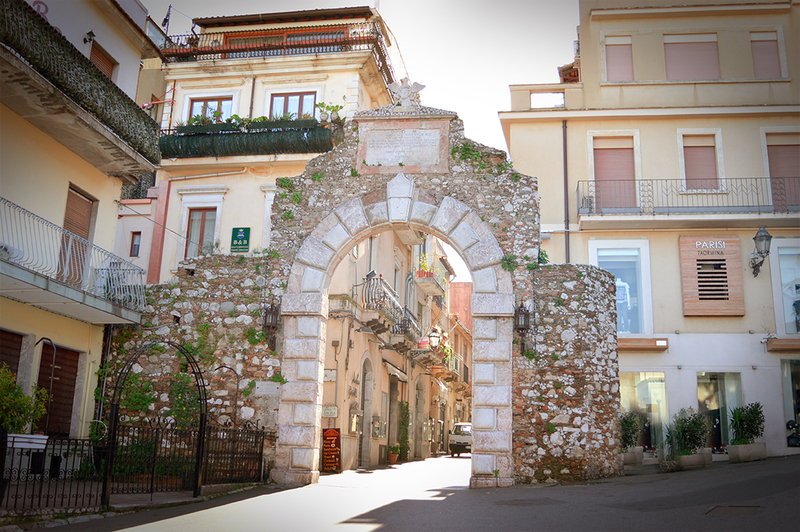 The door to door on the north side is Porta Messina. Set within a stretch of wall that connects with the center of Taormina fortress, Castel Tauro, Porta Messina is newer than the other and until the unification of Italy in 1860, was called Porta Ferdinandea, and dates back to the Bourbon period in the nineteenth century, in the period in which reigned Ferdinand I, King of the Two Sicilies.